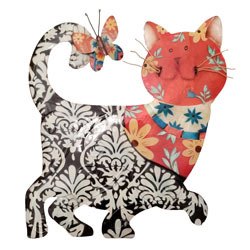 With a look of playful satisfaction on its face, this kitty is ready to warm up any space. This kitty's face and chest is adorned with mother of pearl capiz shell. The artist then hand-painted floral patterns on the shell. The body is marked with traditional forms, while the bright colors and whimsy and fun. 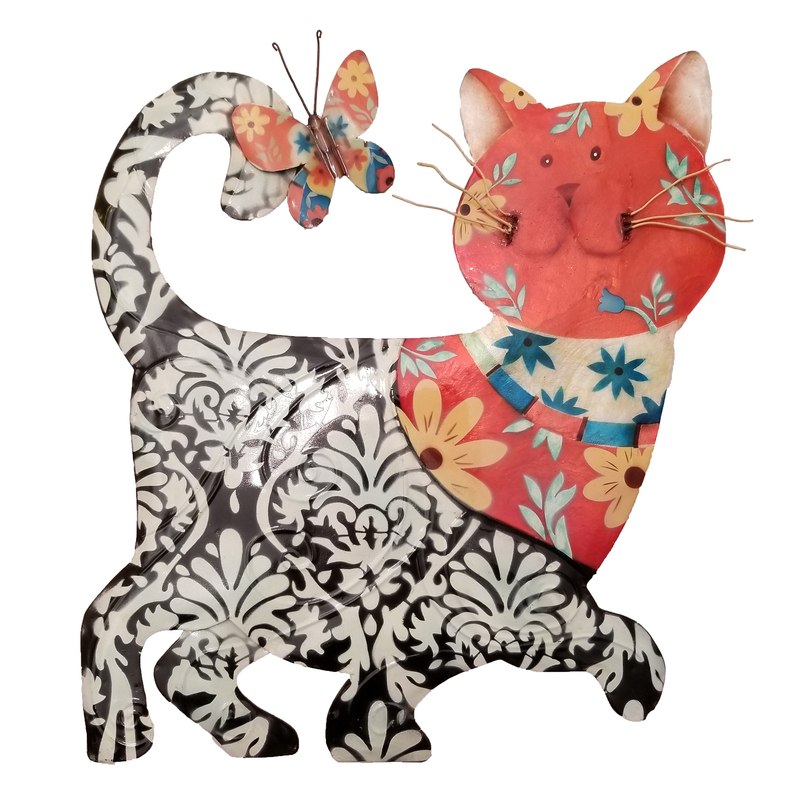 The basic frame of the cat is created using tin, which is powder coated with a black finish. The frame is reinforced using tin wire along the inner edge. Capiz is an oyster shell and the primary purpose of the oyster is as a source of food. However, the by-product, the shell, can be used for decoration. Due to it being a natural material, the natural colors of the capiz come through as tans and browns underneath the paint. The shell is then painted the bold colors you see. The entire front facing piece is carefully hand-painted.